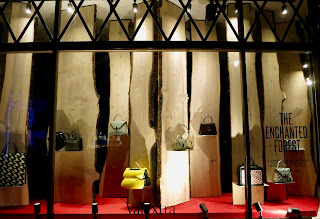 Valextra is rocking the Enchanted Forest right now which we guess is their Christmas offer. 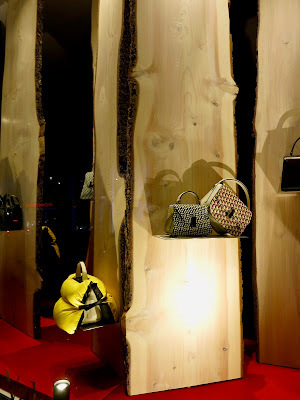 It's not clear if this in conjunction with the Architect Kengo Kuma although the information on their window indicates this. The narrative reads "A forest is a special place for me it gives me the feeling of being between reality and dream....." Of course it does Kengo, or are we just looking at bits of tree in this repetition format?